"Join Adam Henson, Matt Baker and John Craven from the popular weekly programme as BBC Countryfile Magazine shows how you can enjoy and explore the great British countryside. 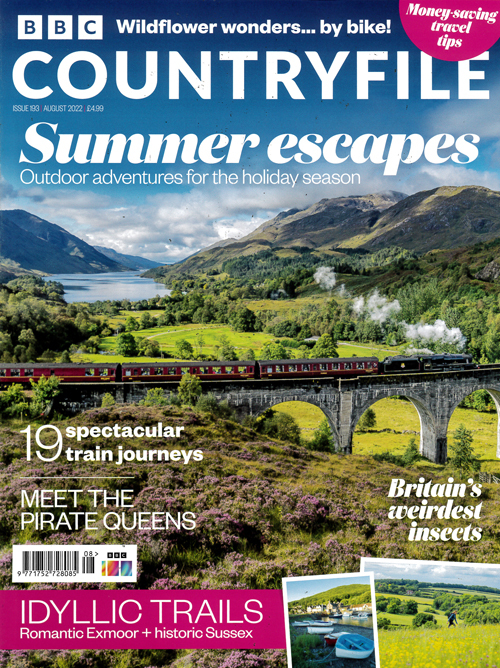 BBC Countryfile Magazine is your ultimate guide to the countryside. Join Adam Henson, Matt Baker and John Craven from the popular weekly tv programme as they celebrate the beauty and diversity of rural Britain. As well as showing you places to visit, local food to taste and outdoor pursuits to experience, BBC Countryfile Magazine tackles the latest rural and environmental stories, explaining how they affect you." Published in English - Monthly. Allow 6-10 weeks for initial delivery.